A key member of the Bombay Talkies team, Josef Wirsching embraced Indian cinema in its early days and changed its direction. From the noirish German expression in Mahal (1949) to the magical flavours of Lucknow in Pakeezah (1972), the cinematographer imbued Hindi cinema with unforgettable scenes. On his 114th birth anniversary, Cinestaan.com spoke with his grandson, artist Georg Wirsching, on the legacy of the Munich man. In the 1920s, an Indian lawyer in England became drawn to the nascent field of filmmaking. Having been interested in theatre since childhood, Himanshu Rai embarked on his pet project to make a film on the religions of Asia. 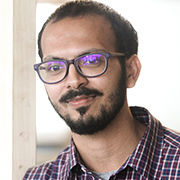 Joining writer Niranjan Pal on a journey to Munich in Germany, he approached Emelka Studios to collaborate on the project. It became the first Indo-German collaboration in film history and set the stage for the birth of the legendary Bombay Talkies. 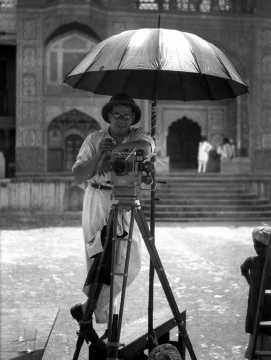 It also introduced Indian cinema to a young German cinematographer named Josef Wirsching. Wirsching's career and life are of remarkable importance. In Amrit Gangar's book Franz Osten and Bombay Talkies, Ashok Kumar calls him 'a master in lighting'. 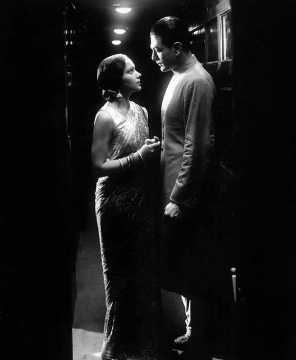 Beginning his career in Germany, Wirsching moved to India to join Rai's ambitious Bombay Talkies. 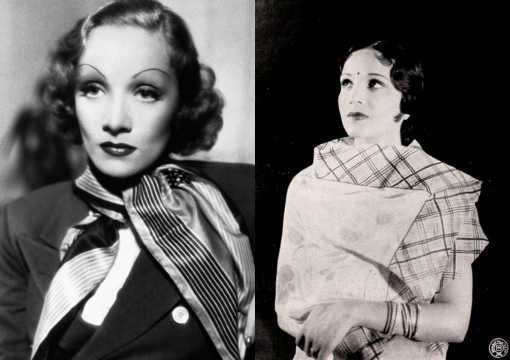 Speaking exclusively to Cinestaan.com, his grandson, photographer and artist Georg Wirsching, said, "They combined for the first Indo-German film collaboration in 1925, The Light Of Asia or Prem Sanyas (1926). That is when Himanshu Rai, the owner of Bombay Talkies, was a lawyer in England, and he met Niranjan Pal [a writer] in Munich who had the idea. He approached Emelka Studios to make a movie, but the studio said, 'Yeah, we can make a movie, but you will have to organize the cast, extras, find a location and everything. We will send you the team.' So, there was a four-member team of which Franz Osten was the director, my grandfather was the cinematographer." 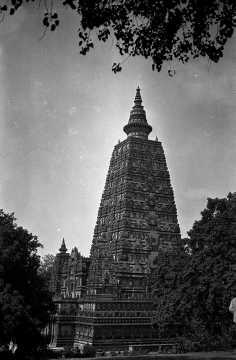 The film was based on the story of Buddha. Georg Wirsching adds, "The film was based on a poem by Edwin Arnold, which was called 'The Light Of Asia'. 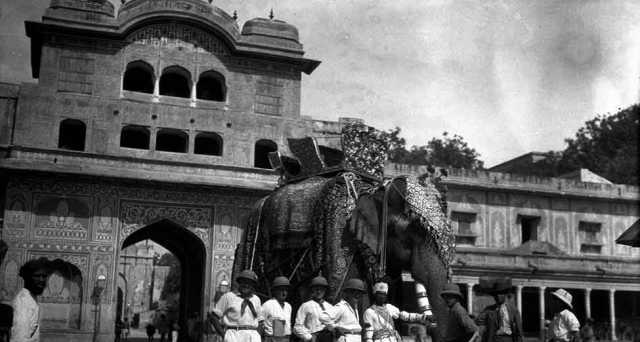 They shot the entire movie in Jodhpur, and the maharaja of Jaipur put the entire household and palaces at their service." The film was a big success in Europe, after king George VI and queen Elizabeth gave it splendid reviews. It was the first success for the pioneering team of German technicians who joined Rai's Bombay Talkies. The team brought together by Rai included director Osten, Wirsching, Willie Kiermaier as cameramen and Barthes Shultes as the production manager for The Light of Asia. 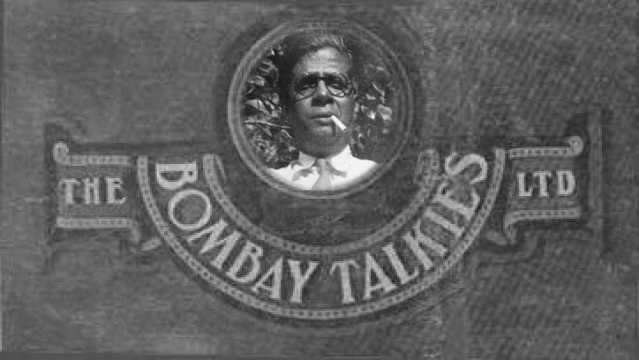 Later, set designer Karl von Spreti, and laboratory technician Wilhelm Zolle would be among the German names counted with Bombay Talkies. 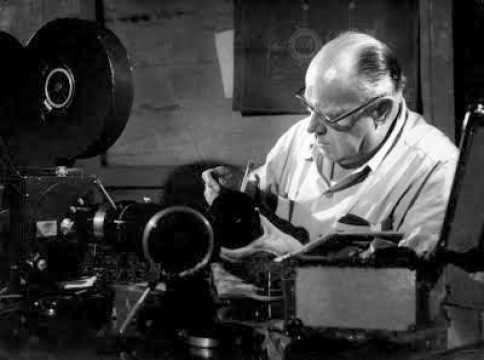 Osten would go on to direct landmark films like Jawani Ki Hawaa (1935), Acchut Kanya (1936), and Kangan (1939). The director remained the top name in Bombay Talkies till the beginning of the war in 1939. 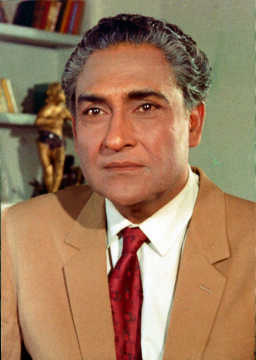 Zolle, the laboratory technician, was the first boss for a young Ashok Kumar, when he joined Bombay Talkies. 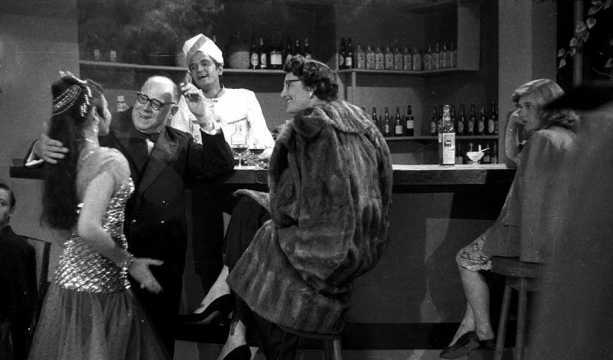 Von Spreti was a famous architect before he joined Bombay Talkies as a set designer. Each of these artistes would go on to influence Indian cinema. Despite the prolific early years of the studio, World War II changed the scenario. Georg Wirsching said, "The war started in 1939. During World War II, all Germans, Italians, and Austrian people who lived east of the Suez canal were deported to internment camps. When the war began, my grandfather was taken into custody from Bombay. My dad was only a few months old." The family was split into two camps, with Josef Wirsching's wife and son held in a separate camp for women and children in Satara. "So it went for six years, 1939-1945, the end of the war. First, he was interred in Ahmednagar, then in Dehradun, and later in Deolali [near Nashik]. After the war, the detainees were given the opportunity to go back to the country they were from, or if they could find work back in the country of arrest, they could stay. Thankfully, Bombay Talkies was more than happy to take him back." It is no surprise that Josef Wirsching chose to stay back in India. Georg explained that Allied air raids had destroyed their family home, ending any hope of a happy life back in Germany. The war also took a far more expensive toll on Wirsching. "My grandad did not go back to Germany after the war. There was nothing there. But prior to that, in 1939, he would keep sending photos back to Germany in the hope that when he finally retired, he could go back with grandmum and live happily in Germany. So, a lot of prized possessions, photographs, he would keep sending back. But they are lost now," he remarked. The Wirsching Archive begun by Georg's father Peter Wirsching is a rare collection of priceless images, reels and pictures that belonged to the era before the great war. "The selection is what remained in India. 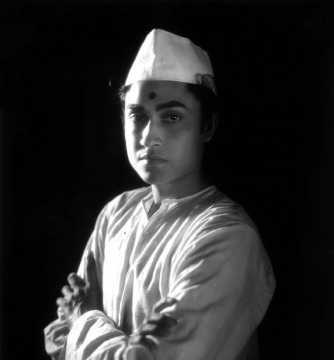 From the time he arrived in Bombay in 1935 till the end. He only went to Germany once between 1935 and 1939 for a holiday. All of that material, all the archives, photographs, negatives are what my grandfather had in his possession," Georg said. He added that the website only displays part of the entire collection. "I have been digitizing them myself, according to industry standards. Most of the images that are there, on the website, are only 200-300 images of the entire collection. The entire collection consists of roughly 6000 images. 4000+ in negative form and 2000+ in print form - all in different sizes and formats," he added. A photographer with a visual communication degree from Loyola College, Chennai, Georg is working single-handedly on the restoration of his grandfather's legacy. Describing his moment of epiphany, he said, "I had no clue, to tell you the truth. As a kid, we were in Dubai till I was 10 years old. The only exposure to Hindi movies was the ones we watched on Saturday nights occasionally. On an off chance, they might have shown some old picture of my grandad's but I never had a clue. It was only when we came to India, I saw Pakeezah for the first time on Doordarshan. My mum and dad pointed out, 'This is your grandfather's film'." As a photographer, Georg marks out his grandfather's composition of images. He said, "As I have been looking at all of these negatives, working on them in the computer; simultaneously I have also been a photographer myself. I now understand. Mixing your own stuff, developing the negatives, gives me an idea how good the work is. To be developing such stuff back in the day, I have a very clear idea of what my grandfather went through to get those pictures out." Pakeezah (1972) was the great cinematographer's last project. However, films were not his only love. Georg told us that his grandfather had an intense passion for photography and travel. He described how his grandfather would often take breaks between films to travel places, and document them through photographs. "These photographs would become the source of several location hunts. You want an old temple beside a lake, he would source it from his album," he mused. A remarkable traveller, Josef Wirsching once undertook a mammoth journey from Munich to Rangoon, by road and steamer, filming all the way. "It was a huge project, he shot a few hundred hours or so of documentary footage which was again taken to the studio. In Emelka, it was cut down to maybe 10-15 minutes of documentary film to be used in theatres in mid-1920s Germany. Now the thing is Emelka had all of the footage until the start of the World War, but after the war, the footage has disappeared," said Georg. A tireless worker, Georg has embarked on a project to rescue and restore his grandfather's legacy through books. The death of his father last year has been a drawback though. "We were planning on creating a book which was to be a collaboration with three authors, my dad, [former editor of The Times of India] Dileep Padgaonkar, and another author. My dad passed away, and Dileep Padgaonkar also passed away last year. He was supposed to write about my grandfather's work, its context in the history of Indian cinema, the era, while my dad was going to write a personal account of the entire story. Now, the whole concept of the book has undergone a change. I will have to write it myself, based on my father's memories and notes of my grandfather's times." In an age when artistes and filmmakers are constantly questioned on their patriotism, Josef Wirsching stands out as a remarkable man who opted to pursue his love of art from one corner of the world and found a home in another. He stands as testament to the pioneering adventurers who shaped the billion-dollar industry that Indian cinema is today.